Marcia received her bachelor's degree from Minot State University in 1995 and completed her Education Specialist Degree in School Psychology from Minot State in 2003. She received her NCSP in 2003. 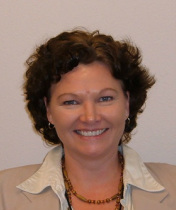 Marcia has been an active member of NASP and NDASP since 2000. In NDASP, she has served on the GPR and Conference Committees. In NASP, she served for six years as state delegate, four of which were also served as the Delegate Representive for the Central Region. While serving as delegate, she was a member of the Listserv Task Force, the Personnel Committee, and the Nominations and Elections Committee. She is currently the NDASP Continuing Education Director and Webmaster. Marcia currently works for the West Fargo Public Schools where she provides services for early childhood through twelfth grade.